Consignment hardware can be a difficult maze to negotiate. When you’re just getting started, it can be confusing (to say the least) trying to weed through all the details. Which computer should I buy, which printers do I need, is this scanner compatible, etc. This post will discuss the consignment hardware that will make any consignment store owner’s life a little easier. All of the consignment hardware items you see on this page can be purchased directly from The Computer Peeps. Before you purchase from your consignment software vendor, compare their prices to ours. Compare their consignment software to ours. We can save you both time and money. Why buy consignment hardware for twice the price? I think most will agree, tags are where it all starts. The tag is what the customer sees, so you want it to look nice, clean and professional. Also, printing bar codes from your consignment software provides you with inventory control. 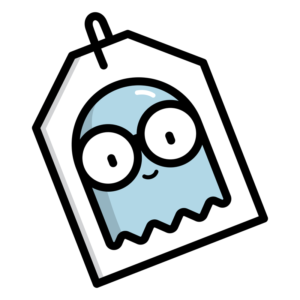 While you can print tags from a laser or ink jet printer, let’s get serious here – you’re running a business and you want to do things the right way. It is for this reason that we think any consignment store should start out with a good thermal tag printer. 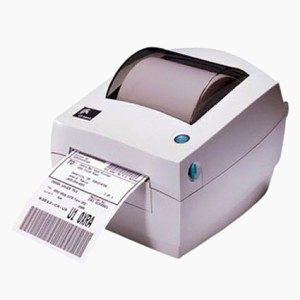 Many avoid purchasing a thermal tag printer simply because they tend to cost too much. Unfortunately, you’ll find that many mark-up these printers way too much. This is why we carry professionally refurbished thermal tag printers. There are definitely concerns when you purchase a previously owned printer, but if you buy from a reputable seller, you can save a LOT of money! Do we recommend just going out and buying any refurbished/previously owned printer you come across? No. There are some key questions that need to be asked and it’s important you buy from a legitimate seller/business. We’ve had many clients buy 2 or 3 printers before contacting us. The next piece of hardware I think every resale store should have is a bar code scanner. In case you don’t know what this is, it’s the little hand-held device you see at virtually any retail location. Instead of the employee manually entering item numbers, you just scan the bar code and the item is entered into POS (or whichever screen you’re working in – you can use the scanner to post items, lookup items, etc.) 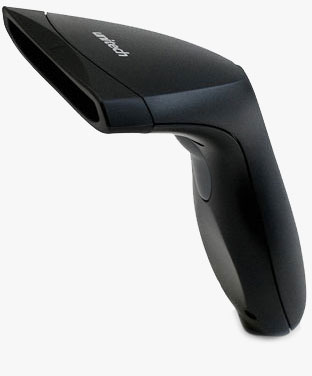 A bar code scanner makes checkout a fast and easy process. It also reduces (if not completely omits) mistakes at POS. You don’t want an employee selling one item when it’s really supposed to be another. A bar code scanner really should cost more than about $100 or so. Some are less than $100, some are a little more. Again, and sadly, some mark-up these devices so much that many think they just can’t afford one. The great thing about a bar code scanner is, it’s such a basic device – like a mouse or keyboard. There’s no installation (just plug it in) and there’s very little configuration. The last of the “holy trinity” of POS devices, so to speak, is the receipt printer. This is one device that you can live without at first. If it were me though, I’d go ahead and get all three – a tag printer, bar code scanner and a receipt printer. The reason you can live without one at first is, most of the consignment software programs let you print receipts to any printer. While it might not be a nice, slim receipt, it’s a receipt. I think the main reason resale store owners avoid receipt printers (or hardware in general), is the cost. That’s why we’re here though! If you have the right consultant (eh hem, us!) you can get all of the core devices for what one would pay for a tag printer alone! There’s a reason all of this isn’t nice and buttoned up in one place (well, until now) – because people make a lot of money of this stuff! If we can help resale stores get the right hardware (used or new) and help get it setup the right way from day 1, it means more businesses can focus on providing a great service. A resale store shouldn’t have to fork over $1,000 for hardware alone. It’s just not worth it for the “assurance” that it works. A cash drawer is pretty important piece to the POS puzzle. Some might argue that it’s not needed at first, but where the heck are you going to keep your cash and checks! 🙂 Again, these can be purchased for far less than most are used to seeing. It’s important to not just buy any drawer you see though. These devices work directly with the receipt printer, so compatibility is paramount. Don’t forget your reports/check printer either! This isn’t as critical as far as, you don’t need to be too worried about which device you purchase. Something that’s worth pointing out is, go with a laser printer vs. ink-jet. You’re going to be printing checks and reports in black and white, so you don’t need to run out and buy a new color laser printer. Don’t consider this printer an “all purpose” printer though. You want to invest in a solid laser printer, one that will be dedicated to printing checks and reports. They’re only about $100 so it’s not a huge investment. Dedicating the printer to just those tasks, will extend the life of the printer and reduce headaches. For printing everything else (e.g. notes to post around the shop, coupons for the front counter, etc. 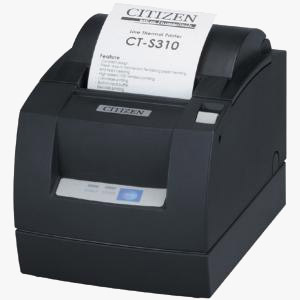 ), grab an inexpensive ink-jet printer. You could even go with a color laser printer if you want crisp, sharp printing. They’re not as expensive as they used to be (now approximately $200-$300). The key is, leave the black and white laser printer for printing reports and checks, that’s it. One piece of hardware that many don’t consider (because it’s not one of the “obvious” pieces) is an Uninterruptable Power Supply (UPS). This is basically a surge protector + an internal battery. Computers do not like to be interrupted by power outages. A power outage can corrupt data and lead to damages that can’t be recovered from (not for cheap, that is). They’re so inexpensive – about $50-$60. I have one on every system here in our home office – even our TV/entertainment center. It’s one of the best investments you can make and it will save you from a major headache. There are other devices – e.g. credit card swipe, PIN pad, pole display, etc. – which aren’t required. The credit card swipe is so inexpensive though and if you’re going to accept credit cards, then much like a bar code scanner prevents mis-keyed items, a mag(netic) swipe will make credit card processing a breeze. Get a thermal tag printer. You don’t need to spend upward of $500 – you can get great, refurbished printers. It will make your inventory management much easier and it makes for a professional looking appearance. Don’t be fooled into thinking you can’t afford a receipt printer! If you know where to shop (and we can help you with that), you can get the final piece to the POS puzzle. A nice receipt is the cherry on top of the inventory life/sales cycle. Get a UPS!!! You can’t afford to lose your data just because someone tripped over a power cable or switched off a power strip. While you’re at it (and since they’re so inexpensive), pickup a credit card swipe (mag swipe). Accepting credit cards is pretty much a given these days. A mag swipe makes processing payments quick and accurate. I could get into backups (e.g. to USB Flash Drives) in this article, but I want to keep this to just POS hardware (the UPS being the one exception). If anyone has ANY questions, feel free to ask! I hope this sheds some light on the POS hardware selection fiasco most new store owners face! Thanks so much for the information. I really needed to hear it and now I can be a little more confident in my choices. Our pleasure! We’re still decompressing from the NARTS Conference in Dallas, but we’ll get right back to publishing more goodies soon!